Spend a day walking the coastal paths of Cornwall and you might wonder why Brits ever bother to travel abroad. The undulating hills, secret sandy coves and soaring cliffs are as fine as you'll see anywhere. 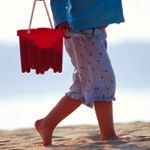 With great local restaurants and superb self-catering cottages, this is paradise on your doorstep. 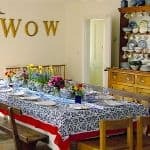 The best way to experience the unique landscape and character of Cornwall is to rent a place of your own. Buy locally-sourced food from the markets, drink in the local pubs and pull on a pair of walking boots to discover some of the UK’s most glorious coastal paths. There are dozens of places worth exploring. On the dramatic north coast, we recommend a visit to the castle ruins at Tintagel before heading towards Boscastle to discover the Bronze Age carvings. The far west of Cornwall feels a million miles away from the rest of Britain. You’ll find primordial moorland, ancient standing stones and the remains of Iron Age villages. When the sun shines, the sea turns a dazzling shade of turquoise. 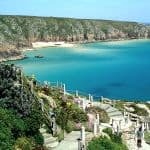 Stock up on pasties and hike along the coastal path for wonderful views across Falmouth Bay, or indulge yourself in Cornwall’s foodie capital, Padstow. To spot local wildlife such as deer, otter and badger, visit Idless Woods near Truro. 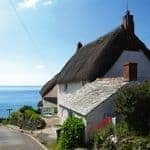 Classic Cottages has sought out a choice of almost 500 Cornwall properties – whether you are looking for a waterfront apartment, fisherman’s cottage or chocolate-box thatched cottage, we can help you find your perfect bolthole. Many are available for short breaks outside of the peak summer season. 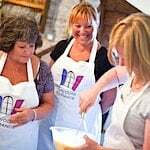 Click here for more about short breaks in cottages in Cornwall.